While many watch companies recommend regular servicing, we feel if it ain’t broke, don’t fix it. If your watch is keeping perfect time, it may just need a new crystal or strap. And if you’re thinking of sending your vintage watch back to the manufacturer for service, please NOTE: we’ve seen many instances of over-polishing by manufacturers who have actually removed fine features that are sought after by collectors. Depending on the model and vintage of your watch, ‘wear and tear’ may be part of the perceived value of the piece. When you do need repair, our in-house watchmaker has over 30 years’ experience repairing and refinishing luxury brand watches. Bring your watch in for an assessment of its condition, a service recommendation and estimate. We can restore old watches to working condition or replace worn or damaged crystals, hands, gaskets, stems and crowns, dials, etc. 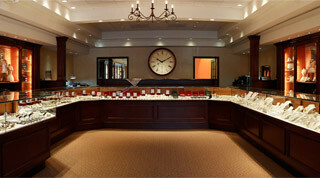 Visit our store for a personal consultation with our watch and jewelry experts.